Pakistan’s independence day (also known as Yaum-e-Azadi (Urdu: یومِ آذادی)) is observed on 14 August, the day on which Pakistan became independent from British rule within then what was known as the British Raj in 1947. The day is a national holiday in Pakistan. The day is celebrated all over the country with flag raising ceremonies, tributes to the national heroes and fireworks taking place in the capital, Islamabad. 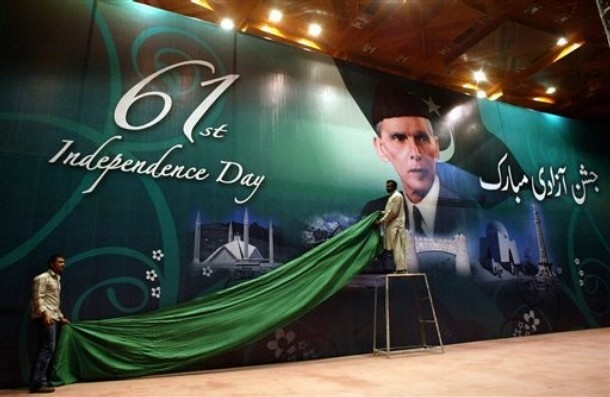 The main celebrations takes place in Islamabad, where the President and Prime Minister raise the national flag at the Presidential and Parliament buildings and deliver speeches that are televised live. In the speech, the leaders highlight the achievements of the government, goals set for the future and in the words of the father of the nation, Quaid-e-Azam bring “Unity, Faith and Discipline” to its people. 61 Years Ago there was a nation in search of a piece of land.